Keeping your carpeting clean serves a number of purposes. First, it really contributes to your indoor living space looking clean and fresh. No matter how much time and effort you invest in cleaning the rest of your house, it really will not look clean if you have stained and dirty carpeting. Clean carpets also provide an overall healthier environment for your family. So much dirt, pollen, dust mites and other debris settles deep in the fibers of your carpets where regular vacuums and carpet cleaners cannot reach. So while your carpeting may look better on the surface after vacuuming or a DIY cleaning, the deeper dirt continues to affect the air quality of your home. Not only that, but it can affect the breathing of small children and pets who play on the floor a lot. Allergies can result, and this is something you can take steps to avoid if you keep your carpets clean. Clean carpets also last longer. Since carpeting is such a huge interior decorating investment, prolong its life and protect it by keeping it clean. If you live in a small apartment, house or condo, or if you have mainly hardwood floors in your house, you will be interested in our $99 two room plus one hallway carpet cleaning special. With a price that affordable, you can stay on a regular, professional maintenance schedule that will be good for your carpeting and good for the health of your family. 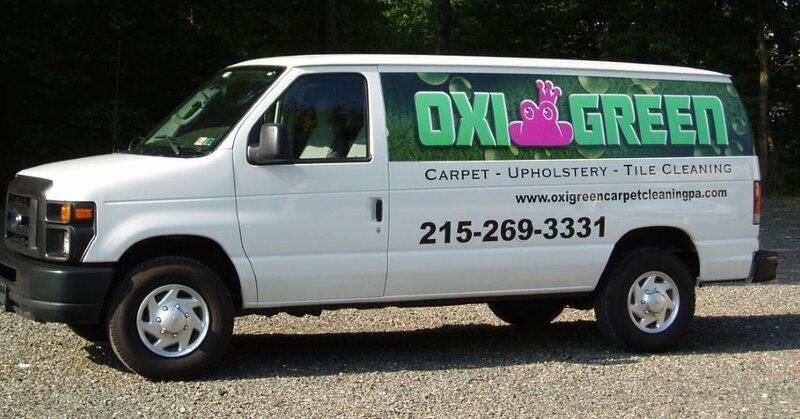 Call OxiGreen in Southampton, PA today at 215-269-3331 to ask questions, find out more about our “green” carpet cleaning services, get a free quote or book an appointment. Or visit us online at http://oxigreencarpetcleaningpa.com. OxiGreen in Southampton, PA offers same day appointments and a great 100% customer satisfaction guarantee. We also do carpet stretching and expert carpeting repairs. Call OxiGreen today. You’ll be so glad you did!